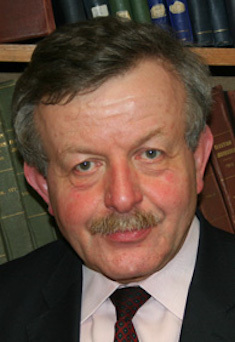 Alistair Lexden OBE has made significant contributions in three spheres of activity: education, politics and authorship. He was created a Conservative working peer with the title of Lord Lexden in December 2010. Born in Lexden (from which he takes his title) on the outskirts of Colchester, Essex, he read history at Peterhouse, Cambridge. After postgraduate research in Cambridge and Edinburgh (1966-9), he worked as an academic historian at Queen's University, Belfast (1969-77). He taught British and Irish political history from 1660 to the present day. He contributed to a number of academic journals and edited the diaries and memoirs of several political leaders active in the 1880s, both Conservatives and Liberals, for publication, some in collaboration with a fellow historian. His principal publication at this time was The Governing Passion: Cabinet Government and Party Politics in Britain 1885-86 (1974), a detailed study of the first Irish Home Rule crisis, of which he is co-author. He lectured outside the university under the auspices of the Workers' Educational Association (WEA) and was chairman of the Northern Ireland Historical Association, fostering links between university and schools. He also worked as an archivist in the Public Record Office of Northern Ireland, sorting and cataloguing the private papers of a number of modern Ulster politicians. He formed strong views on the importance of providing a broad and deep history curriculum in secondary schools and universities-views which have intensified over the years. His second period of involvement in education, which followed a long spell in the Conservative Party's central organisation (see below),was very different. From 1997 to 2004 he was General Secretary of the Independent Schools Council (ISC), a body which accredits some 1,300 independent schools where 80 per cent of pupils in the independent sector are educated. He acted as their principal representative in discussions with government ministers and officials, and oversaw the Council's briefing of the media on issues relating to independent schools. He chaired a committee of senior head teachers and education experts which led to the creation of the Independent Schools Inspectorate (ISI), which now inspects ISC-member schools on terms agreed with government. Many schools abroad now benefit from inspections carried out on similar lines as a result of an agreement in 2011 between the government and the Council of British International Schools, of which Alistair Lexden is vice-president. He negotiated arrangements for the introduction of a new system of teacher induction in independent schools, following legislation by the last government. He secured acceptance of the case for the retention of charitable status by independent schools in detailed talks with Tony Blair's No 10 Strategy Unit, which preceded controversial legislation after he had left the ISC. His experiences made him a vigorous advocate of both the need for closer partnership between state and independent schools, and of changes in the state system to enable its schools to conduct their affairs more independently. He is a strong supporter of the education reforms of David Cameron’s government. He retains close links with independent schools and raises issues relating to them in the Lords. He is President of the Independent Schools Association, one of the ISC's constituent bodies, which represents the interests of more than 500 smaller, less well-known schools. He is also President of the Council for Independent Education (CIFE) whose membership comprises 24 successful independent sixth-form colleges. Alistair Lexden spent most of his career (1977-97) as a senior official in the central organisation of the Conservative Party. He was political adviser to Airey Neave, the Party's Spokesman on Northern Ireland, from 1977 to 1979, developing a commitment to the maintenance of the Province's union with Great Britain which led in later years to a number of publications, some of them under the aegis of the organisation Friends of the Union, established by Ian Gow, of which he became chairman. He spoke frequently at meetings in Britain and Northern Ireland in the 1990s in defence of moderate unionism. It remains among his principal political interests. He has been chairman of a small charity which makes grants to disabled former members of the security forces. He was president of the Northern Ireland Schools Debating Competition from 1993 to 2018, expanding its activities by instituting an annual essay prize. Alistair Lexden was Deputy Director of the Conservative Research Department (CRD) from 1985 to 1997 with responsibility for its day-to-day work and the practical fulfilment of its strategic objectives. Before and during general election campaigns he had full charge of the briefing material supplied to candidates, equipping them with detailed information about the Party's policies and manifesto commitments. From 1988 to 1997 he was also Director of the Conservative Political Centre (CPC), established by Rab Butler, to enable members of the Party at large to participate, through a nationwide discussion programme, in the making of Party policy. For this purpose he was assisted by a small dedicated team in the production of discussion papers, the organisation of seminars, lectures and residential courses, and the publication of pamphlets which he edited in addition to the CRD's substantial output of publications. Electoral and constitutional reform have featured among Alistair Lexden's publications. The Conservative Party has increasingly become the focus of his historical writing: he has produced a series of studies, including a history of the Primrose League, the first Tory organisation to attract mass support, and a reassessment of Neville Chamberlain, published in 2018. He contributes regularly to the Conservative History Journal, the annual publication of the Conservative History Group, of which he is chairman. For several years he was an obituarist for The Times, and a regular contributor to its letters page, where he has appeared more than 270 times in the last twenty years; he has had over 280 letters published in The Daily Telegraph for which he has reviewed history books. The Spectator has published around 100 letters from him. He is now a book reviewer for Parliament’s House Magazine and writes regularly for The London Magazine and the ConservativeHome website. He is also an adviser, and contributor, to The Oxford Dictionary of National Biography, a Trustee of the Hansard Society and the official historian of the Carlton Club. Alistair Lexden attends the Lords regularly when the House is sitting. The subjects on which he speaks include Northern Ireland, constitutional and electoral issues, education, archival records and gay rights. He has introduced Private Member’s Bills on housing and on rights for sibling couples. He has been a member of a Lords Sub-Committee on European issues, and of its important Constitution Committee. He is currently a member of the Joint Committee on Statutory Instruments (consisting of members of both Houses) and of the Ecclesiastical Committee( also composed of members of Lords and Commons) which considers matters relating to the Church of England. He was appointed a Deputy Speaker, and Deputy Chairman of Committees, of the House of Lords in 2017. He visits schools regularly to speak about the work of the Lords. He appears occasionally on radio programmes to discuss historical events and current political issues. He gives historical lectures, some of which are shown on the BBC Parliament Channel. Lord Lexden (formerly Alistair Cooke) is a Conservative peer who took his seat in the House of Lords in January 2011. He is a political historian who is the official historian to the Conservative Party and the Carlton Club. He is also Chairman of the Conservative History Group.